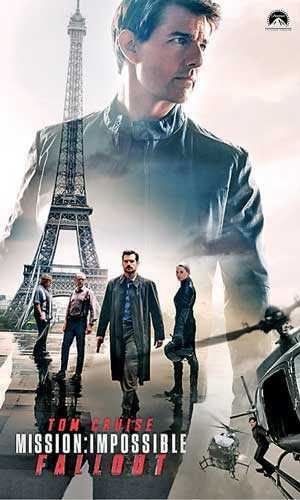 American action spy film ‘Mission Impossible – Fallout’ will be screened in 20 Sri Lankan cinemas from Saturday 28 July onwards. The cinemas are Liberty by Scope Cinemas, Savoy 3D – Colombo, Excel – Colombo, Sky Lite – Malabe, NIT - Kurunegala, NIT – Ratnapura, NIT – Yatiyantota , Cinemax – Ja-Ela, Regal – Gampaha/Nuwara Eliya, Empire, MC Cinemas – Colombo/Jaffna, Suganthi – Batticaloa, Milano – Kegalle, Arena – Katugastota, Don Plaza – Kalutara, Nelson – Trinco, Raja – Jaffna, Rauoo – Katunayaka, CK – Kirindawlea and Aruna Cinema – Kiribathgoda. ‘Mission Impossible – Fallout’ is the sixth installment in the ‘Mission: Impossible’ film series, and the second film to be directed by Chrispher McQuarrie after Rogue Nation (2015), making him the first person to direct more than one film in the franchise. The cast includes Tom Cruise, Ving Rhames, Simon Pegg, Rebecca Ferguson, Sean Harris, Michelle Monaghan and Alec Baldwin, all of whom reprise their roles from previous films, while Henry Cavill, Angela Bassett and Vanessa Kirby join the franchise. In the film, Ethan Hunt (Cruise) and his team must outrun a CIA agent (Cavill) tasked with killing them after a mission goes wrong. In ‘Mission Impossible – Fallout,’ Ethan Hunt (Cruise) and the IMF team join forces with CIA assassin August Walker to prevent a disaster of epic proportions. Arms dealer John Lark and a group of terrorists known as the Apostles plan to use three plutonium cores for a simultaneous nuclear attack on the Vatican, Jerusalem and Mecca, Saudi Arabia. When the weapons go missing, Ethan and his crew find themselves in a desperate race against time to prevent them from falling into the wrong hands.